Email security is a big concern for businesses today. With email being a primary means of communication in the workplace, you rely on email daily to conduct your business and communicate with your clients, vendors and your team. 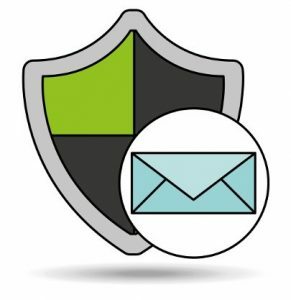 Rest assured there are affordable email security solutions available to help protect your email infrastructure from email-based threats and help you take back control of your inbox. Reduce and eliminate spam before it hits your inbox. Tired of going through all the useless 'junk' email in your inbox? With spam filtering in place, you can better manage incoming and outgoing email traffic to help protect you from email threats and data leaks. Protect against inbound malware, spam, phishing, and Denial of Service (DoS) attacks to ensure your business productivity isn't impacted by attempted attacks on your email system. Identify email and block spam from known spammers and malware domains. Scan email and incoming files using three layers of virus scanning. Powerful virus definitions maintain most up to date protections against email viruses.